Pioneer Electronics has announced two new 3D Blu-ray players for the Australian market, the Pioneer BDP-LX54 (RRP $599) and Pioneer BDP-430 (RRP $499). 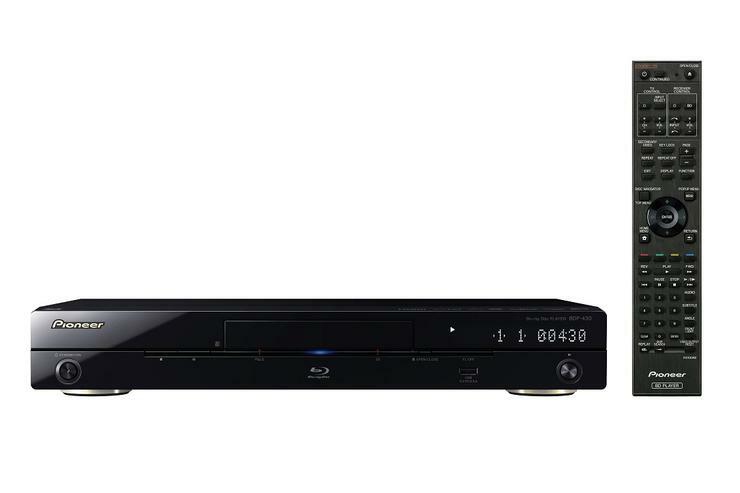 Both players come equipped with 3D Blu-ray Disc playback, advanced audio capabilities, 1080p upscaling for standard DVDs, multimedia support (MKV, DivX HD, WMV, MP3, JPEG) and wireless networking via an optional WiFi adaptor. When connected to the Internet, the BDP-LX54 and BDP-430 will provide access to YouTube videos, BD-Live downloads and compatible media files stored on your home network. The Pioneer BDP-LX54 and Pioneer BDP-430 support the latest high-definition audio formats, including Dolby TrueHD and DTS-HD Master Audio and can output either as native bitstream or decode internally and output as uncompressed multi-channel LPCM on HDMI. According to Pioneer, its proprietary Precision Quartz Lock System (PQLS) ensures jitterless transmission of uncompressed 2-channel or multi-channel LPCM. It can also transmit bitstream audio over HDMI to compatible Pioneer AV receivers. With PQLS, a compliant Pioneer Blu-ray Disc player and AV receiver synchronise both components’ digital clocks for optimal digital audio playback. The premium Pioneer BDP-LX54 boasts gold-plated terminals, a scratch-resistant chassis, ice blue illumination and a hair-line front panel finish. The BDP-LX54 offers the same basic functionality, but with standard audio connections.